Winter in Shillong can be pretty extreme with temperatures dropping as low as 3-4°C. While other parts of the country are warming up with the arrival of January, most states of North East India are experiencing one of the coldest months of the winter season. Well, the cold may dampen your mood on some days, but we at R&L believe in making the most out of every situation. 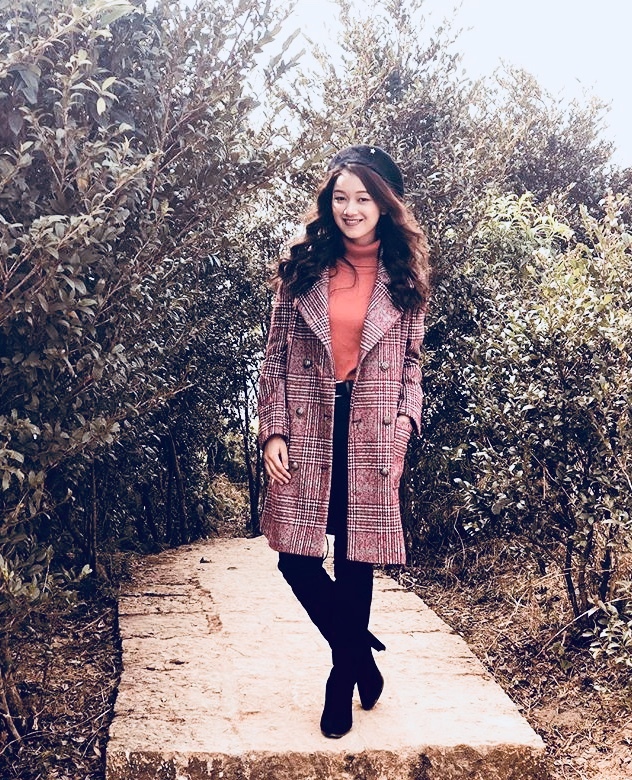 Here, the silver lining comes in varied shades of trends and colors as young folks in Shillong dress for the occasion – that of a cold winter’s day with the last leg of festivities still lingering in the air. 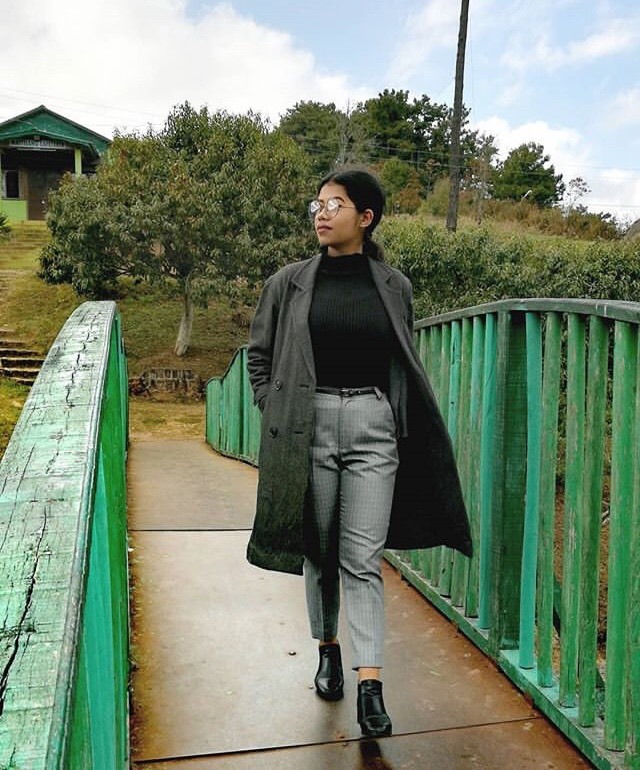 So today, we have Rinyo Valui from Shillong walk the streets of Shillong and take us through the trends rocking the local fashion scene. A first glimpse tells us that there’s more to this season than the usual monochromatic knitwears and black high waisted jeans. The hottest trends in Shillong this season? Turtle neck, beret and beanies, thigh high boots and long coats. So let’s find out what’s trending straight from the local fashionistas! First up, we have Charity Lyngkhoi from Shillong, Meghalaya. She’s dressed head-to-toe in all the trending pieces from the season, showing us how it’s done without looking OTT. The coral turtleneck worn inside her checkered overcoat brings a sense of warmth of a pleasant autumn evening. And that beret over her soft waves? Absolute delight! Next, we have T. Mangmuanlal from Manipur. 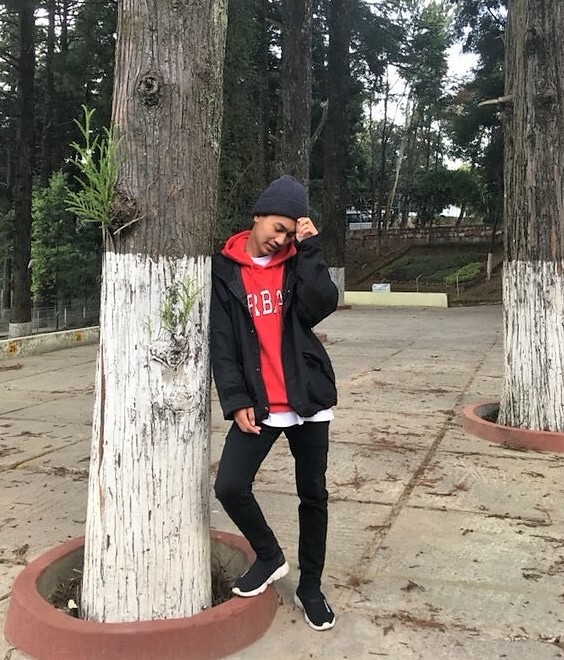 A Biochemistry student at St. Anthony’s College Shillong, he’s all about experimentation while on a mission to keep warm and stylish during the cold winter season. 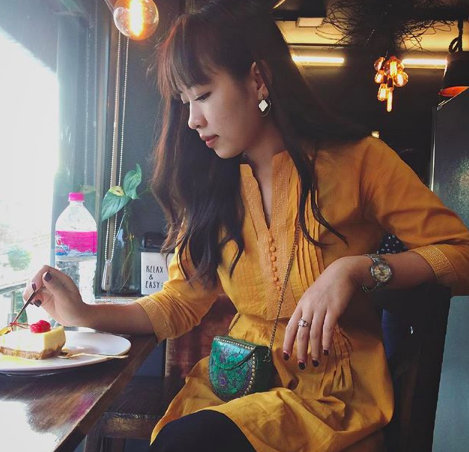 Lyngkhoi from Shillong loves to style her looks in statement-making minimalistic outfits. 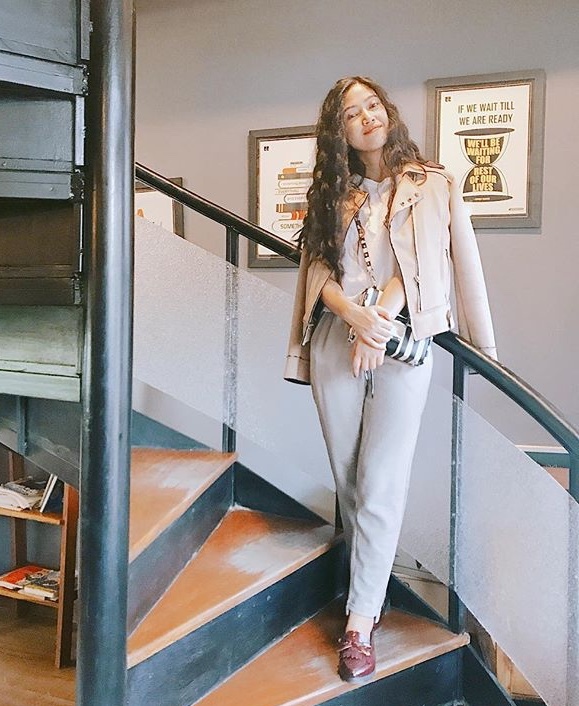 Here, she wears a beige colored leather jacket over a white t-shirt, pairing them with light-colored trousers and a maroon loafer. She throws on a B&W sling bag to complete her look. 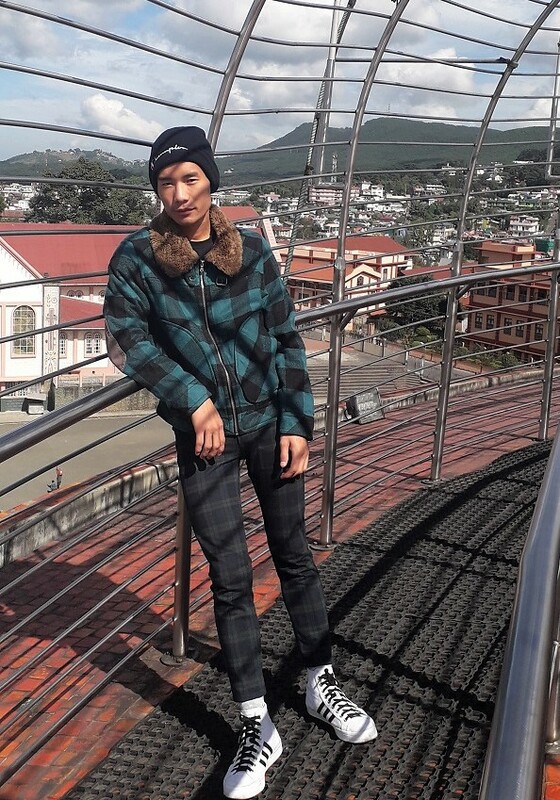 Holyson Jajo from Manipur is currently doing his undergrad studies from Shillong. When it comes to everyday style, he loves to keep it simple yet trendy. Here, he’s wearing a jacket over his sweatshirt, the tried-and-tested form of layering for a fashionable day out in the cold winter months. Nikita Mounglang from Arunachal Pradesh is currently a student living in Shillong. Her signature look is feminine – irrespective of the season. Here, she’s wearing a long flowy skirt paired with the hot item of the season: the turtleneck. The leather jacket and sneakers combo, gives an edgy look to her winter ensemble. Temjen Lemtur from Nagaland is an undergrad student of Statistics at the popular St. Anthony’s college in Shillong. true to her personality, she loves to her style bold and fresh at all times. Lasarabha Warbah (photo below) goes casual and trendy for her winter outfit. She styles her trendiest item of the moment – the turtleneck, with high-waisted tailored pants and ankle boots. The double-breasted long coat with oversized glasses finishes her look with a warm, girl-next-door’ish look. So what do you guys think of these trends and looks? Share your local fashion scene by writing to us at info@rootsandleisure.com and tagging us on Instagram. 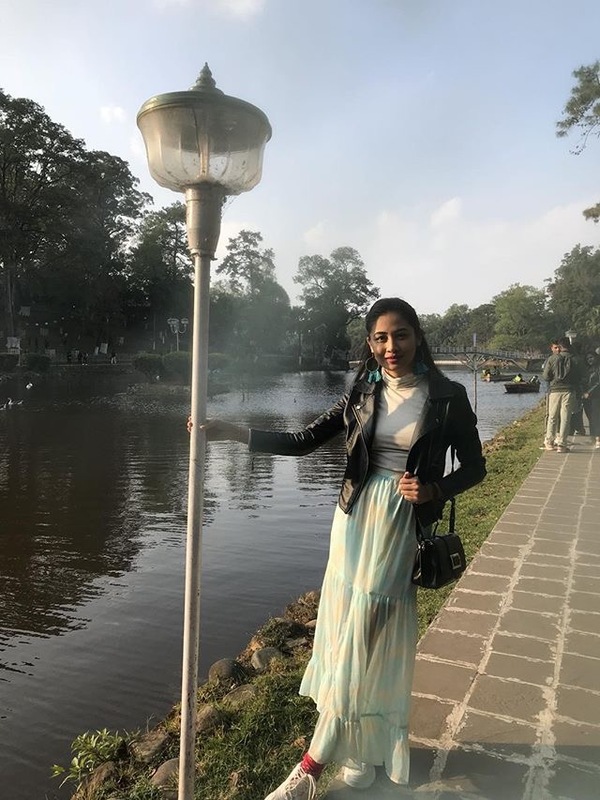 Previous Post“Exploring New Places Teaches Us New Things While Also Making Us Realise How Special Our Own Home and Culture Is” – Dental Student And Traveller Thlamuanpuii From Mizoram Shares her Travel Stories.